Typography is an art combining perspective, technique and ingenuity. A great design comes with great typography. Whether you are creating for web or print, designing brochures or user interfaces, developing a brand identity or creating a logo, one of the key elements of a successful project is the typeface you are using. In fact, the combination of fonts, color choices and design options are what separate success from failure. An overlooked detail is enough to flush all the creative effort you’ve devoted to build and outstanding product. 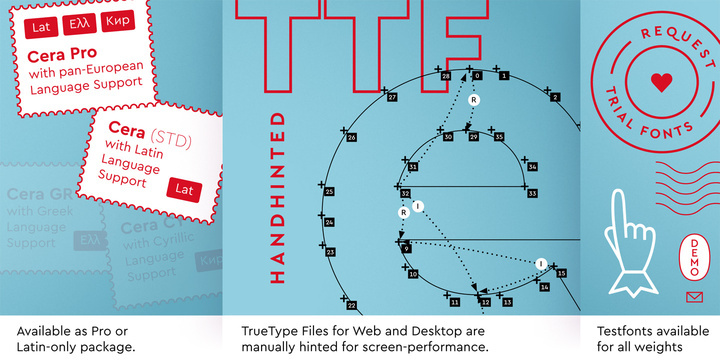 Thankfully, there are a lot of resources to guide you in your pursuit for great typography. Start with Emil Ruder’s amazing “Typographie: A Manual of Design,” or Ellen Lupton‘s “Thinking with Type: A Critical Guide for Designers, Writers, Editors, & Students” or predict the future of typography with Henrik Kubel and Scott Williams in “New Perspectives in Typography,” a stunning showcase of some of the best contemporary type design. And if you are looking for raw inspiration, here are the 50 bestselling fonts of 2016. 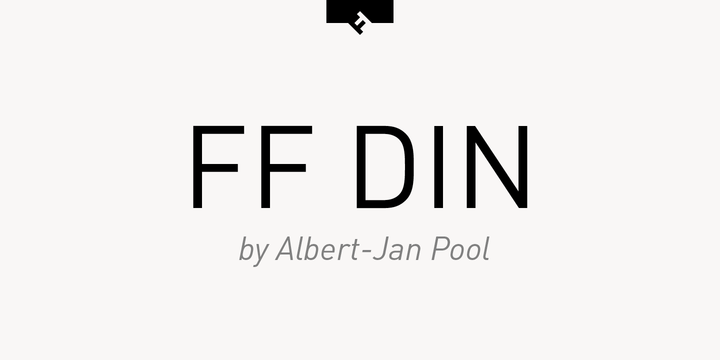 FF Din is a font created by Dutch type designer Albert-Jan Pool between 1995 and 2009. With 20 weights, FF Din is suited for editorial and publishing, advertising and packaging, branding and creative industries, poster and billboards as well as web and screen design. This typeface also has limited support for the Cyrillic and Greek writing systems. Brandon Grotesque is a famous sans serif type family of six weights and six corresponding italics. The font is inspired by geometric forms optically corrected for better legibility. 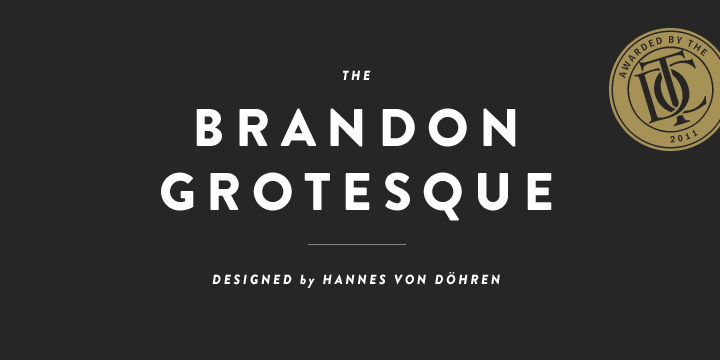 Brandon Grotesque is a functional and elegant font. The thin and the black weights are great for showcases, the light, regular and medium weights are suited for longer texts. 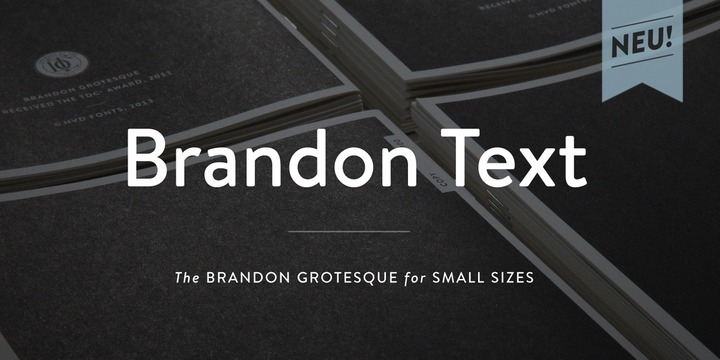 Brandon Grotesque is an excellent choice for sophisticated, professional-grade typography. It also has an extended character set to support Central and Eastern European as well as Western European languages. The famous Century Gothic is strongly influenced by Futura, although it is derived from two separate typefaces intended as Futura competitors (ITC Avant Garde and Twentieth Century). Century Gothic is a light, spacious typeface with a clean cut edge and perfect cursive details. It’s ideal for headlines or large signs. 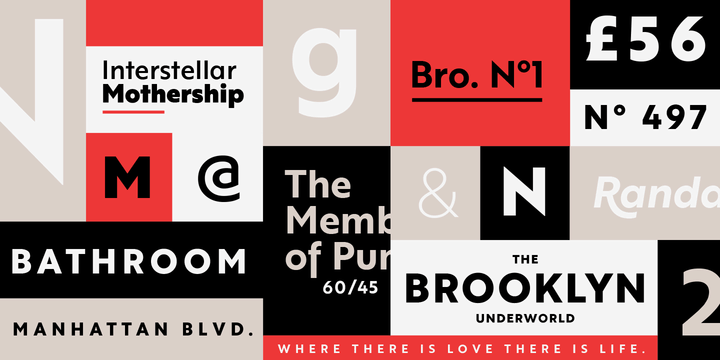 The Proxima Nova family is a complete redesign of the famous Proxima Sans font. 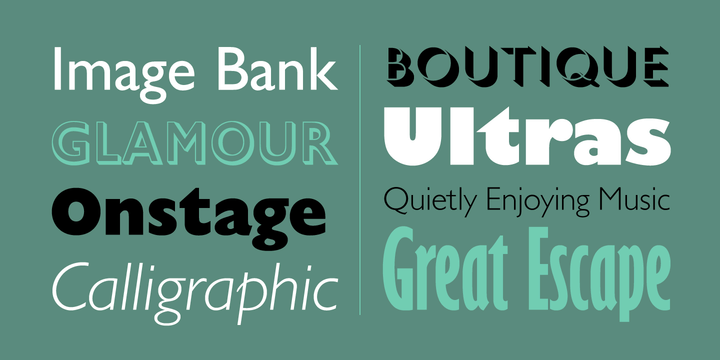 The font family has been expanded to 48 full-featured OpenType fonts. Each of the three widths comes with 16 fonts (8 weights). Stylistically, Proxima Nova is a hybrid combination of humanistic proportions and a geometric appearance. Proxima supports most Latin-based scripts. Avenir (Future) is another Futura-inspired font but without radical geometry; it has vertical strokes that are thicker than the horizontals and shortened ascenders. It’s a perfect choice for text focused on legibility. Helvetica is one of the most popular typefaces in the world and a marketing success story. The family consists of 51 different font weights. It’s a classic sans serif font, timeless and neutral, and it’s a safe choice for all types of communication and mediums. 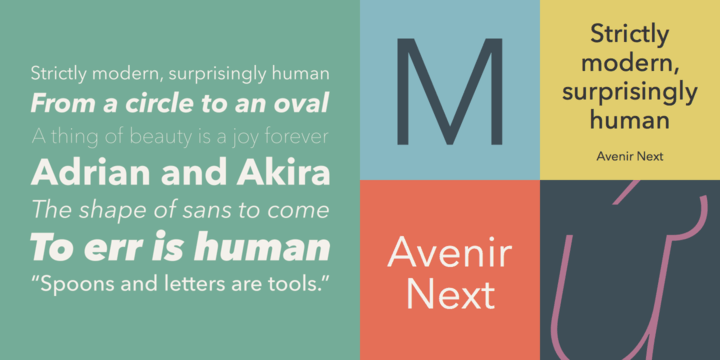 While the Avenir family is one of the greatest font families ever created, in order to address some on-screen display issues, Linotype developed an alternative font: Avenir Next. The typeface family consists of 32 fonts: 8 weights, each with a roman and italic version, and two widths: normal and condensed. The glyph was expanded to include small caps, subscripts and superscripts and ligatures. Isidora is a modern geometric font built with a focus on functionality. 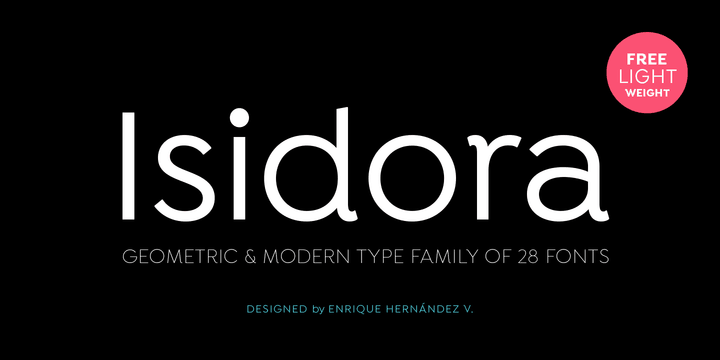 While Isidora is expressive and friendly, it’s a manifesto for rationality. Isidora consists of 28 fonts with two seven-weight subfamilies: Regular and Alternative. The font is ideal for logotypes, branding, headlines, packaging, web use and publishing. With support for multiple languages, Isidora is a universal font. 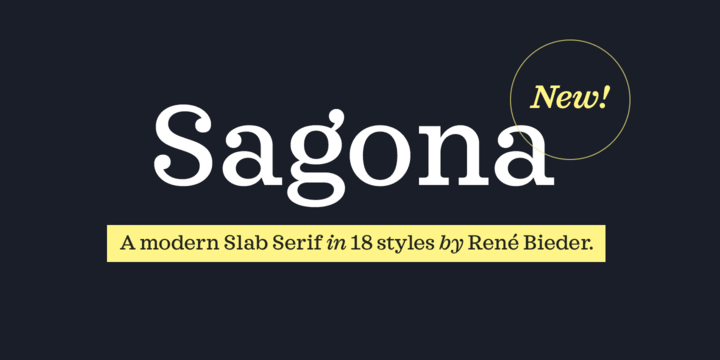 Sagona’s main features are its strong serifs and a variable stroke contrast. It’s a versatile typeface which can be used both for small text sizes and headlines. 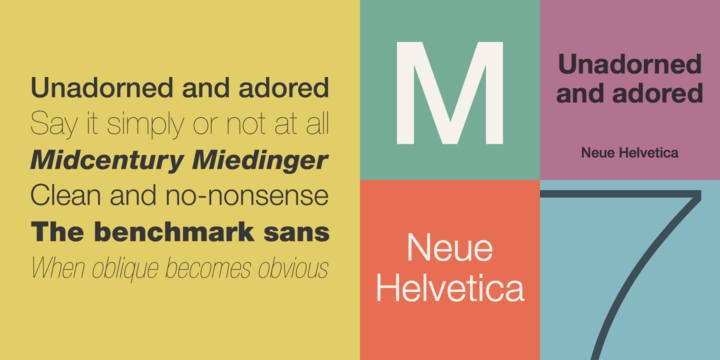 The family comes in nine weights with matching true italics. The large set of OpenType features supported by Sagona include alternative glyphs, ligatures and old style numbers (a gift for the typesetting focused designer). 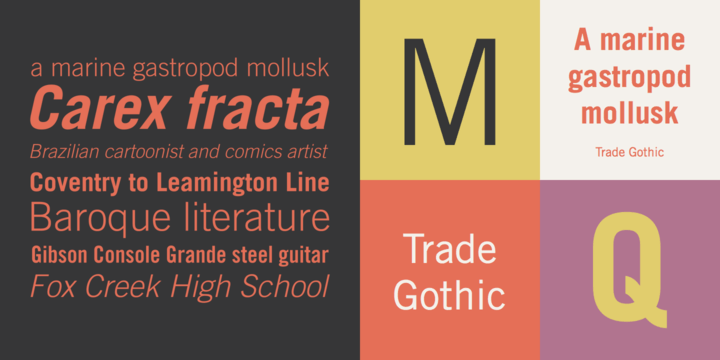 Trade Gothic is a sans serif font with a twist. It breaks the typical strictness of sans-serif fonts. Used in combination with roman text in advertising and multimedia, Trade Gothic is a popular font with designers looking to deliver a message that stands on its own. Trade Gothic is one of the key elements of the visual identity of Amnesty International, an organization focused on human rights. 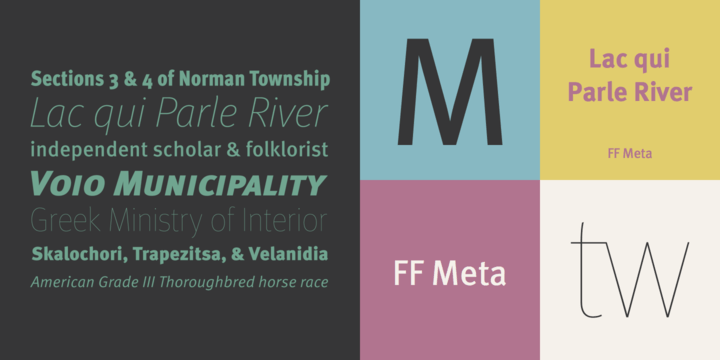 Gilroy is a contemporany sans serif with a geometric touch. It comes in 20 weights, 10 uprights and 10 italics. Each weight includes extended language support, arrows, fractions, ligatures, etc. Gilroy is used for editorial design, graphic design, web, signage and is frequently used in corporate scenarios. 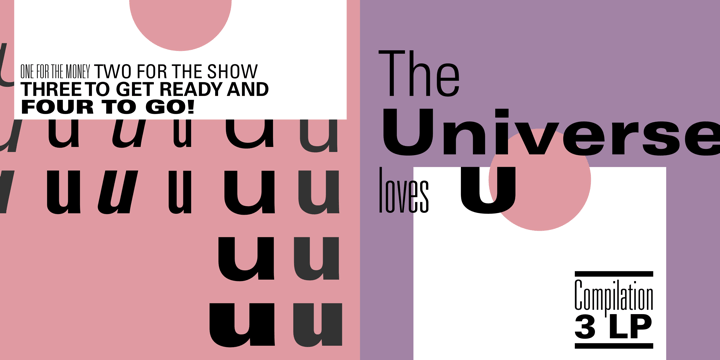 Univers, one of Adrian Frutiger favorite fonts, is known for clear lines and legibility. Any version of the font may be mixed within a word with any other. This characteristic allowed documents to be created in one consistent typeface. Notably, Univers was used for George W. Bush’s campaign logos in 2000 and 2004, in Audi’s logo, eBay’s logo and in Montreal Metro signs. Sunshine Daisies is a hand lettered font collection that delivers 15 fun and bright fonts. It includes a layered font that has an embedded pseudorandom function so that two letters placed next to each other will always look different. Sunshine Daisies is fully Unicode mapped which means that you can use it in any application. It’s a perfect font for book covers, posters, packaging projects and quotes. Brandon Text is a sans serif family of six weights plus matching italics. Used frequently in combination with Brandon Grotesque, Brandon Text is perfect for long text, small sizes and screens. It is manually hinted and optimized for screens, so that it will be a great option for websites, apps or eBooks. The Brandon series is a superb choice for complex, professional typography. 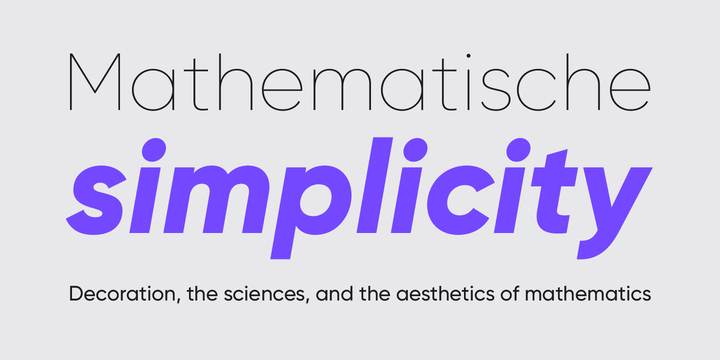 Brother 1816 is a flexible, multifaceted and solid typeface designed for the web. It mixes geometric shapes with Humanistic strokes. The styles can be used separately for a uniform look or can mixed together for a distinct visual personality. Its humanistic nature is perfect for signage, editorial, and branding while its geometric dimension is an excellent fit for branding, headlines, posters. It contains 32 fonts, divided into two groups: normal (16 weights) and printed (16 weights). The Neue Haas Unica family is an extended version of the Haas Unica design, the famous font family that faded to obscurity. By adding more languages and more letters, Toshi Omagari adapts the classic font for today’s digital and print environment requirements. FF Mark is ideal for film and TV, editorial and publishing, advertising and packaging, logo, software and gaming, branding, sports, web and screen design. 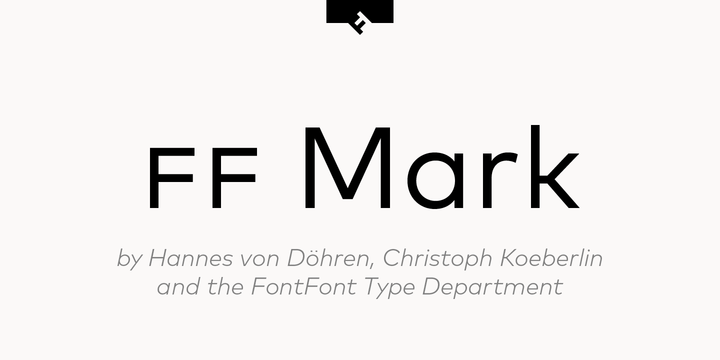 FF Mark contains ten weights and features ligatures, alternate characters, fractions, case-sensitive forms, super- and subscript characters, and stylistic alternates. Museo Sans is perfect for any display and text use. It is a robust, low contrast, geometric, highly legible sans serif typeface. Museo supports most European Community languages including Esperanto. 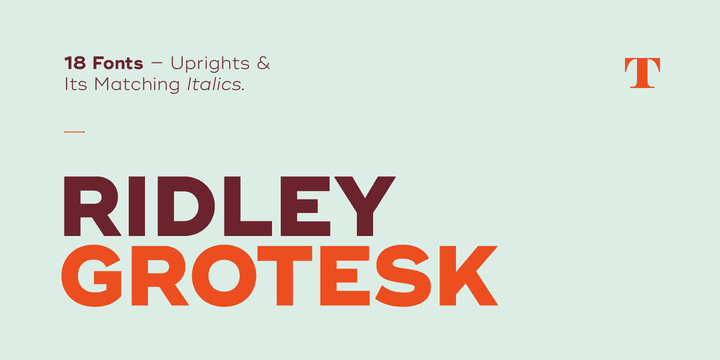 Ridley Grotesk comes in nine weights with matching italics. 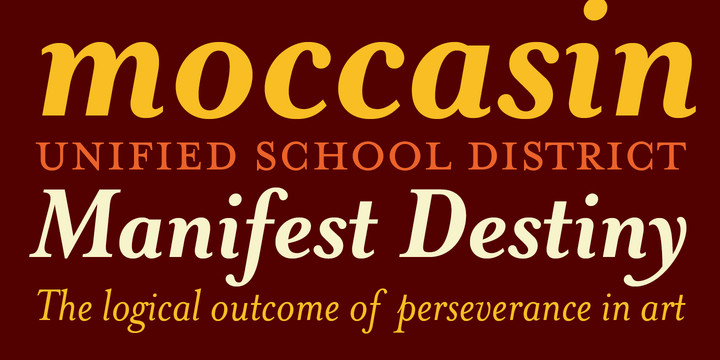 Each weight includes true small capitals, alternate characters, ligatures and more. It’s used for graphic design and any display, web, signage and editorial design. ITC Avant Garde Gothic is a font family based on the famous logo used in the Avant Garde magazine. The font family comes with five weights (four condensed), with additional obliques for wide fonts. 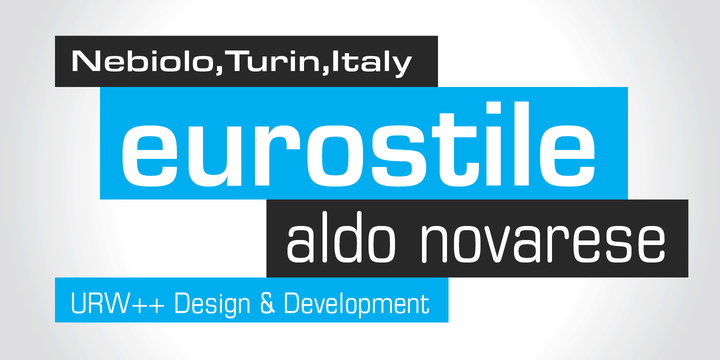 Eurostile is a geometric sans-serif typeface particularly suitable for headings, signs and small bodies of text. It consists of six styles and five italics. If you are a fan of Stanley Kubrick’s 2001: A Space Odyssey, then you remember this iconic font used in the movie. Just like the movie, Eurostile, is a testament for posterity. 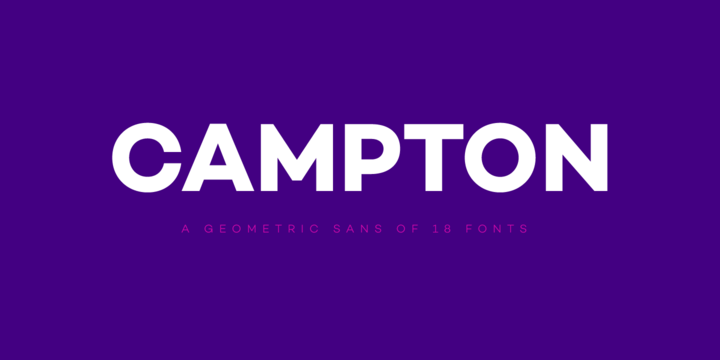 Campton is an atypical typeface based on the newly born sans serif genre in the early 20th century. It is inspired by Gill Sans and Johnston Sans, with contemporary elements. The result is a modern and unorthodox family that is perfect for graphic design application ranging from editorial and corporate design to web and interaction design. 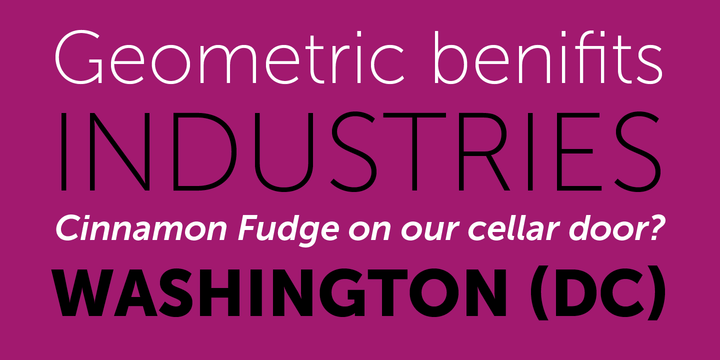 Campton comes in nine weights and is equipped with a broad range of OpenType features. 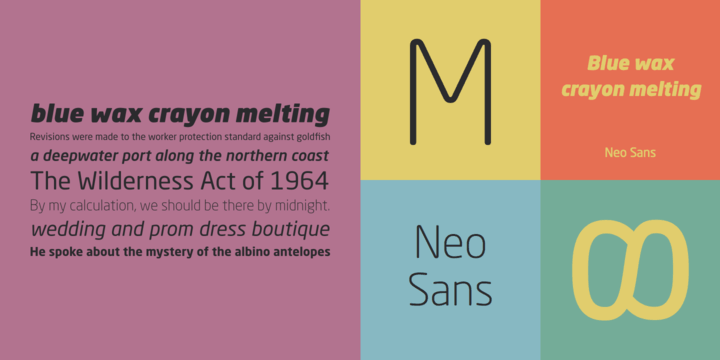 Neo Sans is a legible, versatile and expressive font family. Built for corporate needs, it can be used in various design scenarios, for print and web. Its distinctive look recommends Neo Sans for headlines, small blocks of text, magazines and display materials. The font is available in six weights, ranging from Light to Ultra, with companion italics. 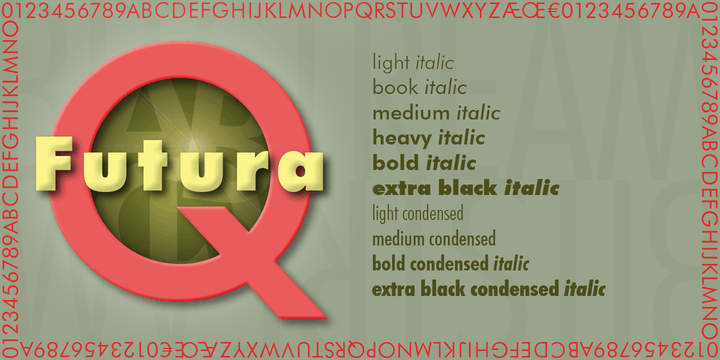 Futura is a geometric sans-serif typeface designed to be functional and classy. Unlike other sans-serif designs intended to for display use, it is also suitable for body text, thanks to a low x-height. Today, Futura is used on a daily basis for print and digital purposes both for headline and body font. If you own a Mercedes, then you’ve probably noticed that the font used in the instrument panels is Futura. There are numerous digital versions of Futura. The font is also one of the most disputed typefaces in the ecosystem (function font). Frutiger is a balanced typeface designed so that each individual character is easily recognized. Considered as one of the best general typefaces, it’s excellent for signage and showcase work. Initially designed for the large scale of an airport, thanks to its outstanding legibility, Frutiger became popular for various other uses, especially for magazines and booklets, branding and display projects. Numerous companies and organization around the world chose Frutiger as their official typeface. Cera is a geometric font family that contains the famous Cera plus, Cera Stencil and Cera Brush fonts. Six precise weights, a clean Italic and useful dingbats plus arrows, Cera is an excellent choice for text and headlines for print and screen. Gabriela Stencil is a traditional font family inspired by the style of the 19th Century Didone typefaces. 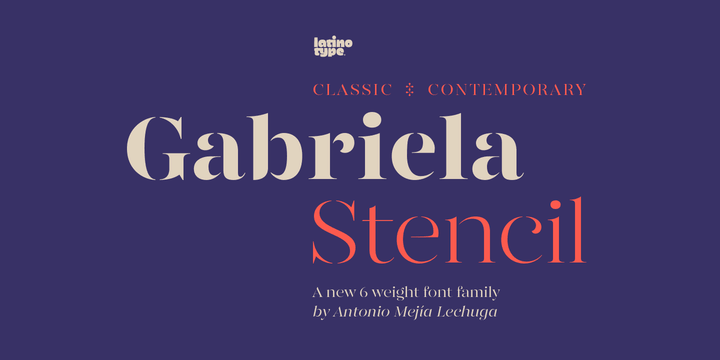 Designed for headlines, short text, branding and publishing projects, Gabriela Stencil is a modern font with an elegant personality. The family consists of six styles, from Thin to Black, plus matching italics and contains a 433 with support for 206 different languages. 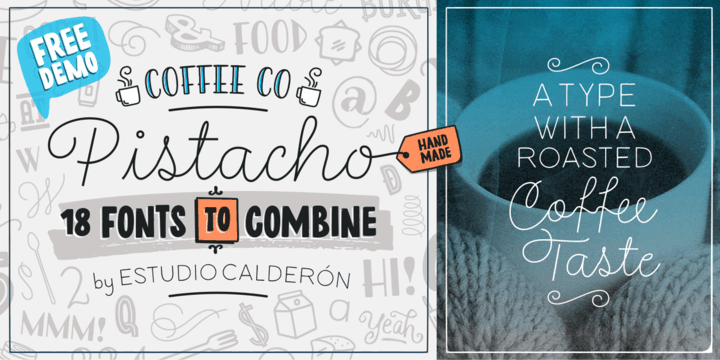 Pistacho is a fresh type family that contains 18 fonts to design awesome illustrations for coffee shops, bakeries, ice-cream stores, candy shops, and all those places where delicious food is found. Pistacho is designed by hand using pencils and markers for a unique handcrafted and rough texture. The typeface was initially published in 1931 as the German Institute for Standardization standard DIN 1451. It contained models of standard alphabets for mechanically engraved lettering, hand-lettering, lettering stencils and printing types that were to be used in the areas of signage, traffic signs, wayfinding, lettering on technical drawings and technical documentation. The fonts were appreciated by designers for their industrial, “non-typographic” look and feel and found their way in book and magazine typography. 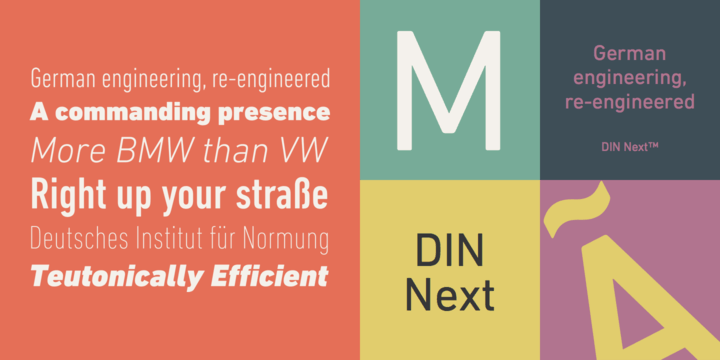 DIN Next is a typographically corrected and expanded version of DIN 1451. 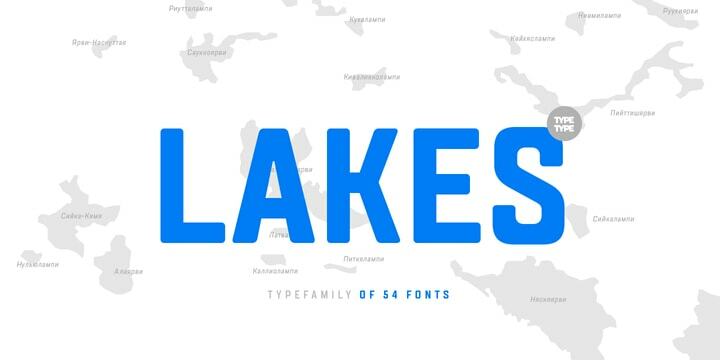 TT Lakes is a universal set of san serif typefaces that fits pretty much any purpose. It consists of three font families and 54 typefaces. It’s simple and functional and can be used in a variety of scenarios. 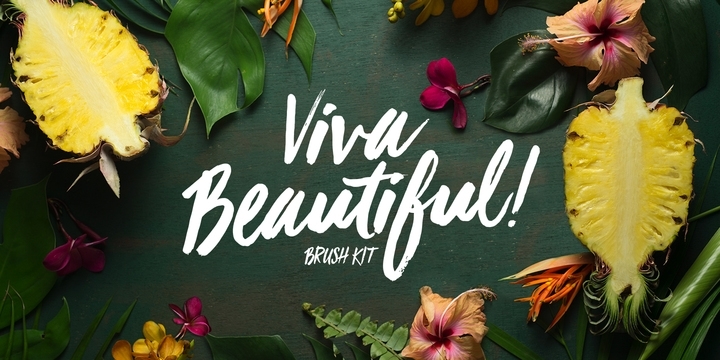 Viva Beautiful is a beautifully crafted painted brush script. Viva Beautiful includes two script styles and an all caps font. Designed for fashion, beauty products, food, apparel and magazines, Viva Beautiful can also be used for film, television, marketing, advertising and websites. 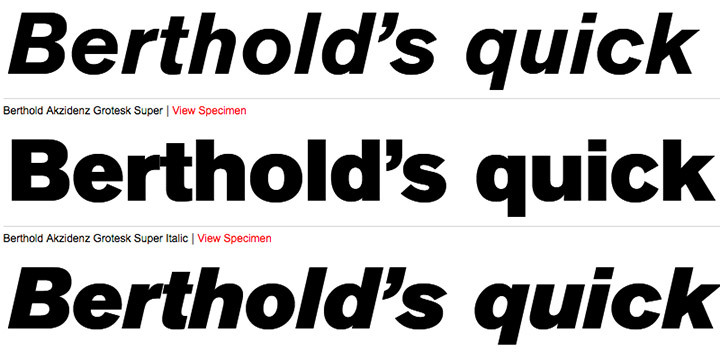 Helvetica Neue is a reworking of the typeface with the purpose of unifying the set of heights and widths. The reworking also improved the font’s legibility and added heavier punctuation marks. The font family is made up of 51 fonts, which includes nine weights each three widths and an outline font. Helvetica Neue supports various Central European and Cyrillic scripts. 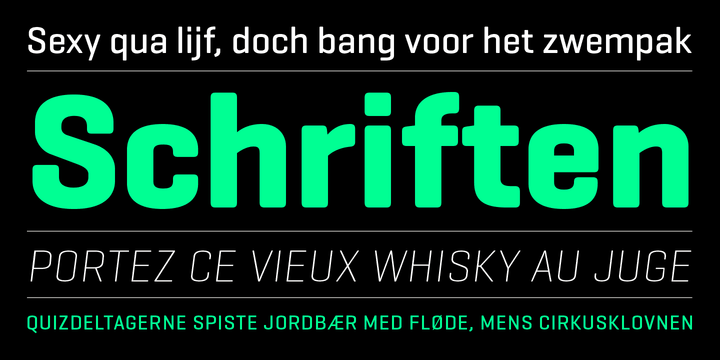 Sofia Pro is a flexible typeface supporting a wide range of languages and 500+ glyphs. It also features case-sensitive forms, small caps, contextual and stylistic alternatives, fractions, proportional and tabular figures, etc. With its 16 fonts, Sofia is a smart choice for text, branding, signage, print and web design creation. 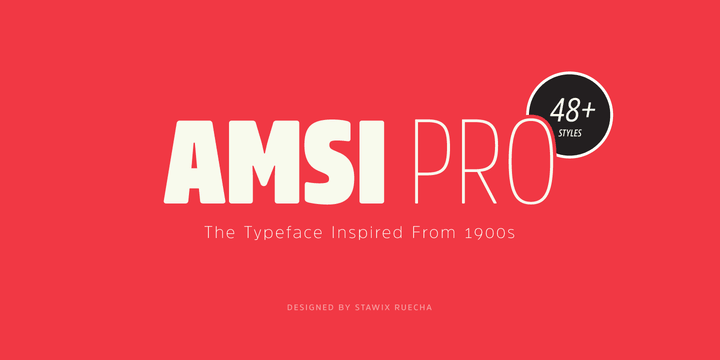 Amsi Pro, a modern interpretation of the Block Berthold font, is a sans serif font family with forty-eight styles with extensive OpenType support including three additional stylistic sets, alternates, lining figures and standard ligatures. It’s a powerful font for experienced designers, and can be used for billboards, headings, branding, etc. Hurme Geometric Sans 4 is a seven-weight, geometric sans-serif typeface which features ornate swash capitals and lowercase characters with curvy tails. 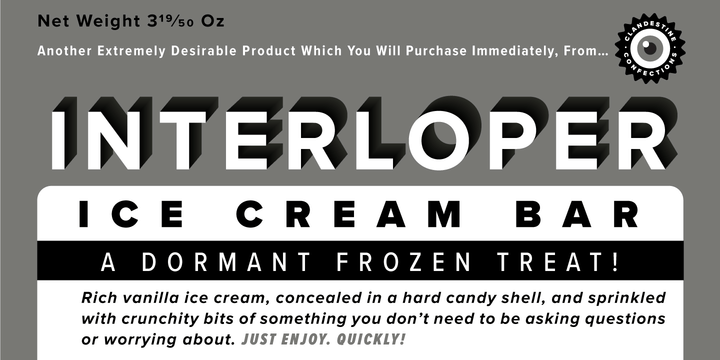 Alternate characters and other OpenType features recommend this font family for the designer looking for a versatile option that can be adjusted for specific needs. Mrs. Eaves is a serif typeface based on Baskerville. It was designed for headlines and other display contexts. A text friendly version of Mrs. Eaves is Mrs. Eaves XL. The font is known for its range of ligatures, ranging from common to fanciful ligatures including swash designs. Mrs. Eaves is used for the iconic WordPress logotype. Effra is the reincarnation of the famous Caslon Junior. 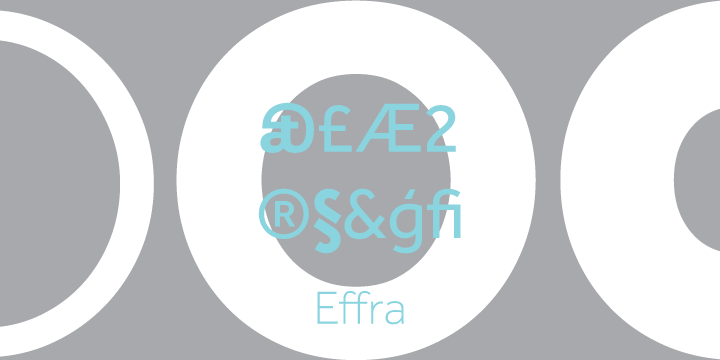 Updated for contemporary use, Effra can be used from advertising to book design. 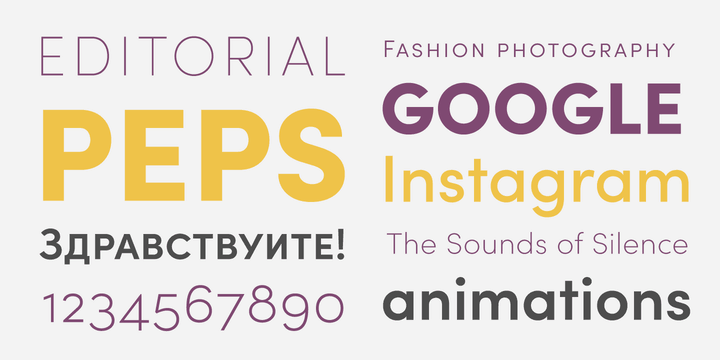 It’s a flexible, balanced and well-proportioned font with five weights and clean lines. Effra is a unique design that stands out from the crowd, but, when needed, is also sufficiently conspicuous to naturally blend with other design elements. It’s a great choice for magazine design, branding, and corporate identities. Nexa Rust is a multivalent font system consisting of sans, slab, script, handmade and extras font sub-families. 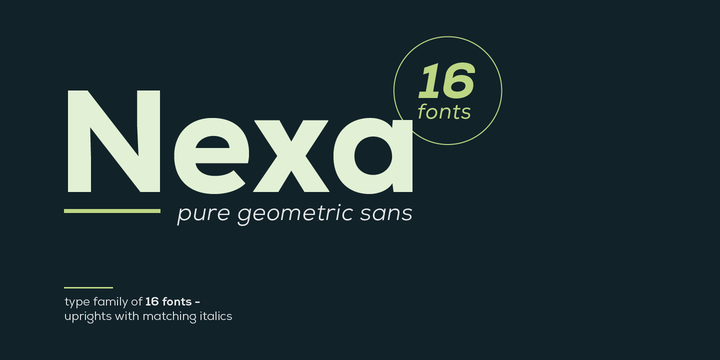 Nexa is a stylized version of the already popular Nexa font. 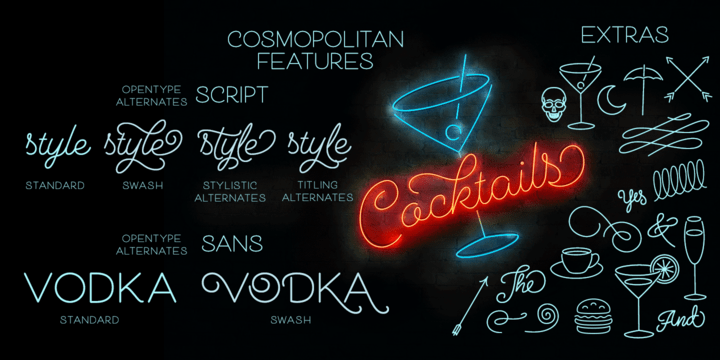 Cosmopolitan is a monoline font family inspired by two other great monoline families: Selfie and Beloved. It comes with script and sans versions that can be both used together or alone. Cosmopolitan Family is used by designers looking to give a refined touch to their designs. It’s equally ideal for both print and digital projects. Akzidenz-Grotesk is a sans-serif typeface intended for general purpose commercial use such as publicity materials, advertisements or tickets and branding. Notably, Akzidenz-Grotesk is the official font of the American Red Cross. 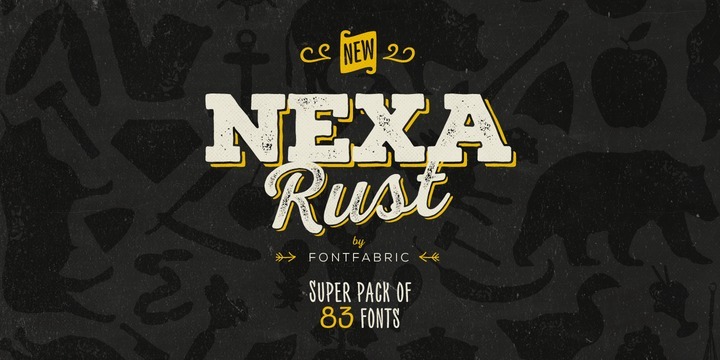 The Nexa family comes 16 styles and weights – eight uprights with eight italics. It is a universal font characterized by excellent legibility for web and print. Frequently used for headlines of all sizes, as well as for Nexa is a good choice for any type of graphic design in web, print, motion graphics, etc. FF Meta is a font family consisting of 28 weights, ranging from Hairline to Black in Condensed and Normal and suited for advertising and packaging, book text, publishing, logo, creative industries, small text as well as web and screen design. It’s a typographical rich font with features such as ligatures, small capitals, alternate characters, case-sensitive forms, fractions, etc. Besides Latin-based languages, the typeface family also supports Cyrillic, Greek, and Hebrew writing systems. 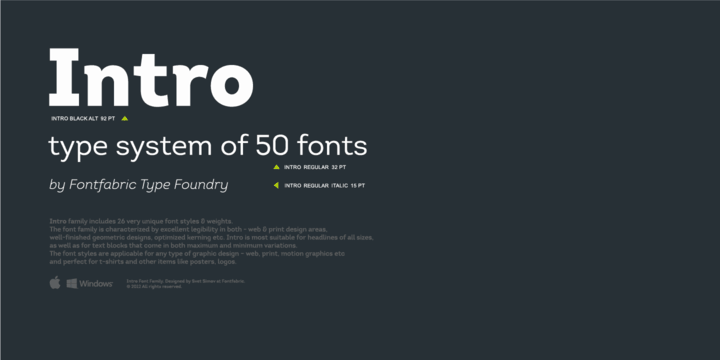 The Intro font family consists of 50 unique font styles and weights. It’s a well-balanced font with remarkable legibility both in print and on the web. Intro is suitable for headlines of all sizes, but it’s also used for text. It’s a versatile font and can be used for web, books, magazines, logo design, motion graphics, and is extremely popular for T-shirt designs. Gill Sans is a legible and modern font. It’s mainly used for text and display typography. 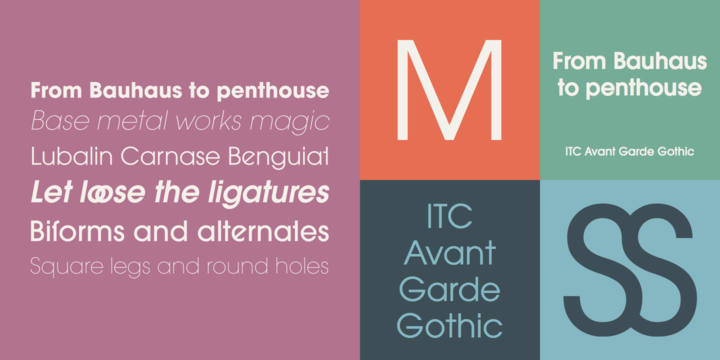 It is one of Monotype’s most important designs. Marketed as a design of “classic simplicity and real beauty,” Gill Sans influenced many other typefaces, and helped to define a genre of sans-serif, known as the humanist style. 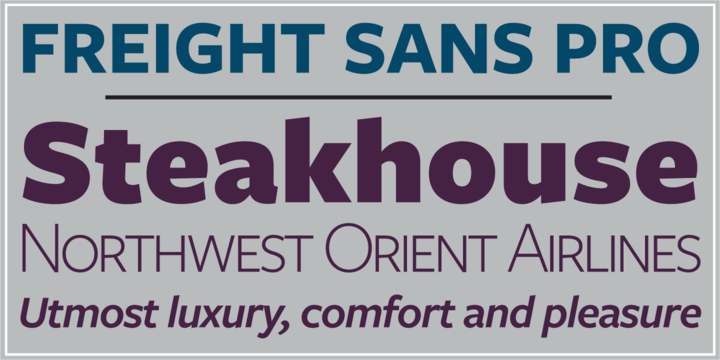 Freight Sans Pro is a distinct typeface composed of 12 fonts designed for optical precision. Its humanistic nature makes it perfect for signage, editorial and branding. Geogrotesque is a semi modular font with a subtle rounded finish typeface. Geogrotesque is designed to be used as a display typeface in publications or intermediate length texts. The type family consists of 14 styles and seven weights plus italics and it’s available in Open Type format. 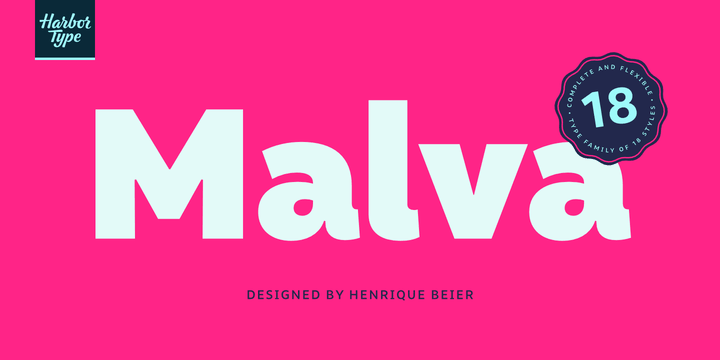 Malva is a fresh font designed to perform as a branding element. It provides a clean and sleek look for visual identities and publications. 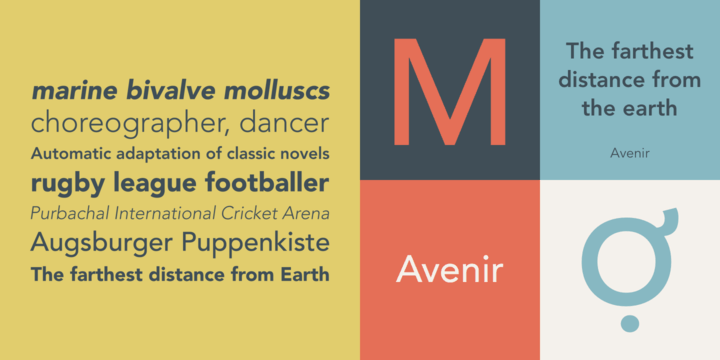 Malva is a legible typeface with proportional letterforms. Besides that, carefully a very legible text typeface. The lighter and bolder weights works great at large sizes. On the other hand, the whole family shines on mobile devices. 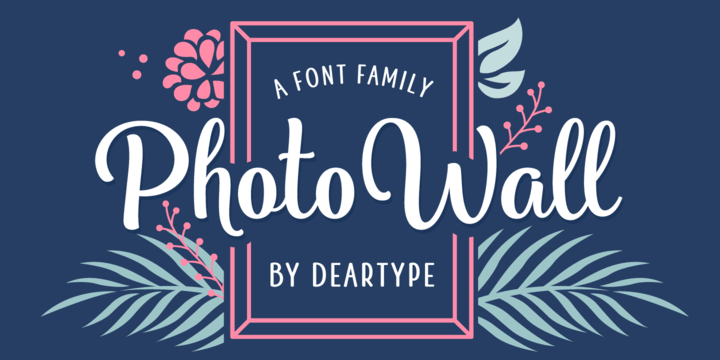 PhotoWall is a versatile and elegant family of 15 fonts. 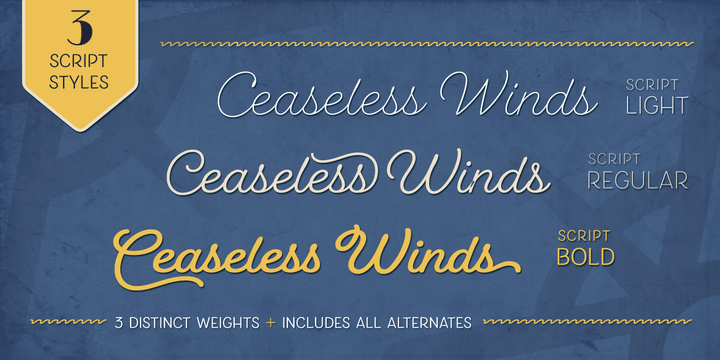 A casual script in four weights with lots of swashes, ligatures and alternates, PhotoWall is inspired by home decor. PhotoWall can be used for logotypes, posters, cards, menus, product packaging and any other printables, as well as web applications. Created by Laura Worthington, Fairwater is a mix of cursive handwriting with letterforms of tattoo lettering. The Fairwater family consists of two highly legible sans and script faces with light, regular and bold weights. Fairwater also includes four showier serif faces for use at display sizes. The Fairwater family is also a powerful design kit as it includes 250 ornamental characters. 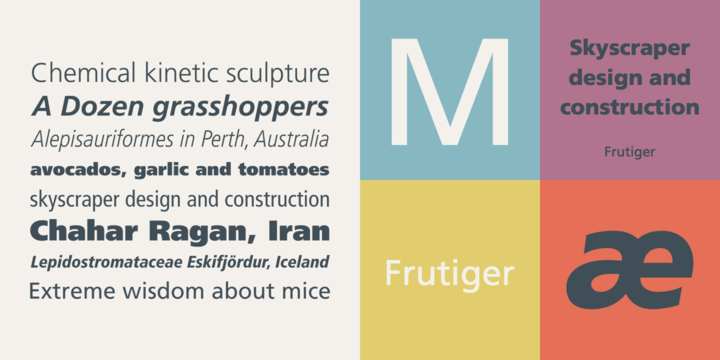 Frutiger Next is an interpretation of the well-known typeface, Frutiger. The new font retains the aesthetic aspects of the original characters while optically adjusting contrast between weights. 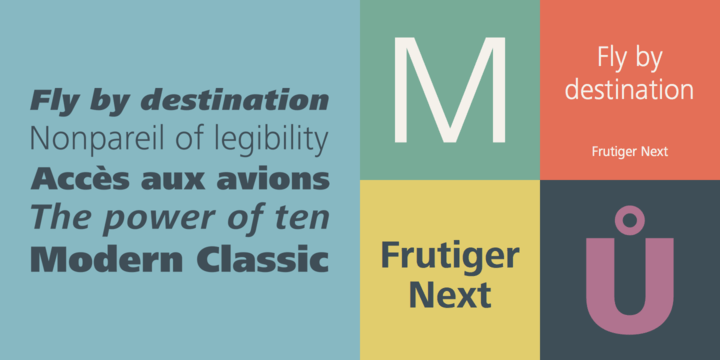 Unlike the roman italics included in the original font, Frutiger Next’s italics are re-designed to be true italics. Frutiger Next is a universal font that can be used for communications, multimedia and printed materials.